This weekend, I started prepping for Easter dinner. 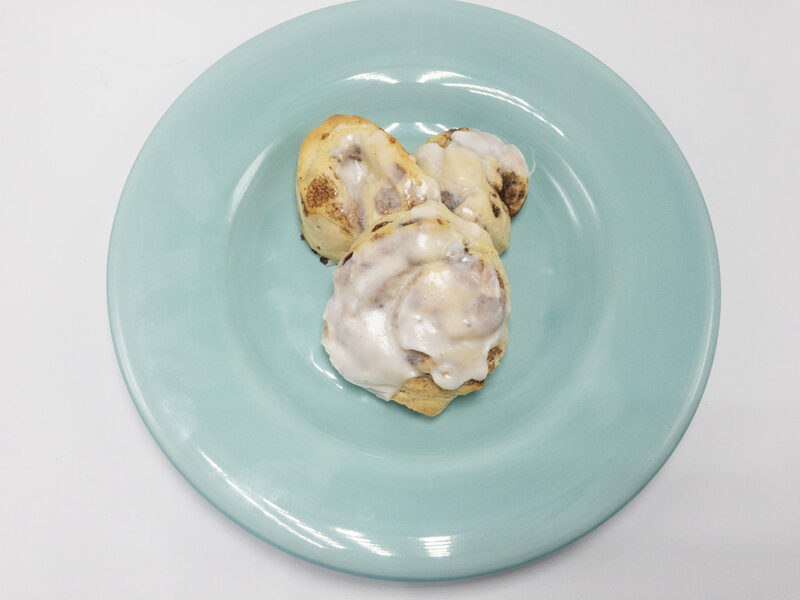 I’ve pinned Pillsbury’s Cinnamon Roll Bunnies for several years and finally decided to give them a try. And, try I did.. twice. Unfortunately, neither of my attempts came out to Pillsbury perfection. 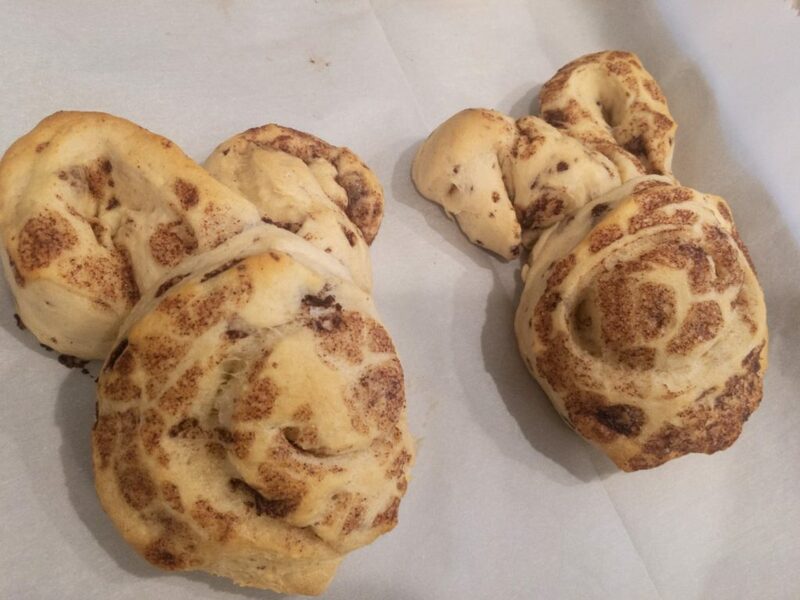 My first attempt at the cinnamon roll bunnies went up in smoke. I burned them! Our eight-year-old dinner guest was very excited about his Mickey Mouse cake. Yes, he thought my precious bunnies were a mouse. He also politely asked if I left the cinnamon rolls out too long. I didn’t, they just burned. My second attempt at the bunnies were almost there! They were baked to perfection, but the shape still unfortunate. 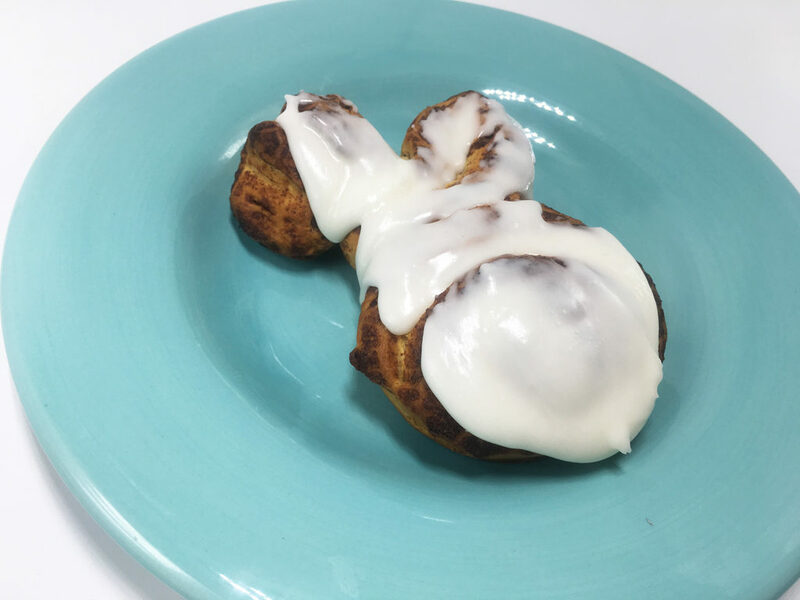 I’m throwing in the towel on these cinnamon roll bunnies and moving on to other Easter themed foods for dinner. Do you have any bunny failures? Or, bunny successes? Leave me a comment or tag me on Instagram (@rivercitybelle). I’d love to see what you’re working on!